Whether you’re looking for inspiration, want to see what other photographers are up to, see the latest gadgets and toys, read reviews, or even feature your own work, there are a variety of sites that every photographer should follow to do just those things. There is no better way to improve your photography technique than by keeping up with the latest — whether on the amateur or professional level — on sites that are run by people who are just as passionate about photography as you are. 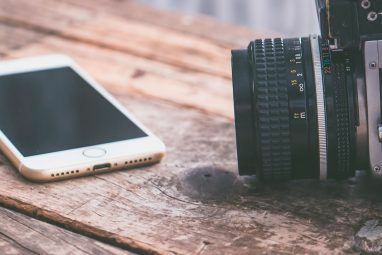 These seven sites fit that description and are a surefire way to keep up with everything you could possibly need to know about photography, and then some. In addition to keeping up with photography on useful websites for photography enthusiasts 5 Useful Websites for Photographers 5 Useful Websites for Photographers Read More , you can also find inspiration and keep up with new techniques by connecting with top photographers on Google+ Learn Photography: Connect With Top Photographers On Google+ Communities Learn Photography: Connect With Top Photographers On Google+ Communities Finding inspiration for photography is never a problem on the web. 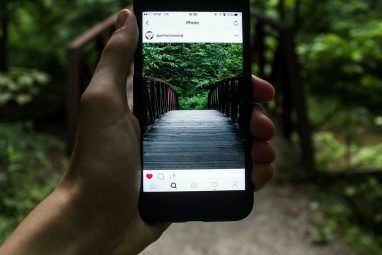 But even when we are taking in all we can, we shouldn’t forget the real-timeliness of social media and its natural give and take... Read More . If you want to keep up with the latest in photography technology, whether traditional or mobile, as well as the latest trends, see what other photographers are up to, and even read about the history of photography and photography laws, PetaPixel has all of this. Founded in May 2009 by Michael Zhang, PetaPixel has grown to an 18-man strong team with over 140,000 followers on Twitter and 165,000 on Facebook. In addition to industry news, PetaPixel also features reviews of new products, tutorials on cool photography techniques, and provides inspiration in the form of what other photographers around the world are up to. Petapixel stays far ahead of the curve and often features important photography news and interesting projects before anyone else. Fstoppers focuses both on photography and videography, while also providing all sorts of opportunities for its readers to win some pretty cool contests. Like PetaPixel, Fstoppers is a great place to go for in-depth reviews and information on the latest gear every photographer wants to have. Fstoppers also features information on interesting desktop, mobile, and web apps that can be used by photographers and videographers. You can also have your own work featured on Fstoppers by submitting your photos to the Flickr photo group. If selected, your photo will end up in the Picture of the Day section, and will be featured on the homepage. 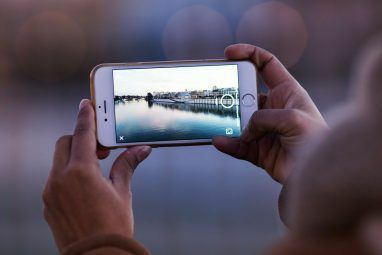 Given the power of photos to influence and persuade, we feel it is vital for citizens to become better “readers” and consumers of visual news, messaging and spin. With “visual literacy” as our goal, we study the content and context of key images to reveal bias, narrative, stereotypes and personality. We are interested in all persuasive imagery, whether conservative, liberal or commercial. On BagNews you can find about current issues through the lens of photography as well as browse through original photo essays featured on the site. If you’re a photographer and writer, you can also submit your own work to BagNews for a chance to get published. If you’re looking for a site that focuses more on improving your own technique, rather than what other photographers are up to, Digital Photography School is the first place you should go. We’ve featured DPS on MakeUseOf in the past, in our list of ten sites that will make you an amazing photographer 9 Blogs That Will Make You Into An Amazing Photographer 9 Blogs That Will Make You Into An Amazing Photographer There's blogs which try to cover everything related to photography; there's specialized blogs that dive into the niches; there's blogs which only talk about gear, and there's blogs by talented photographers. Read More , and we would be remiss not to include it on this list as well. The site is divided into three sections: photography tips and tutorials, cameras and equipment, and post-production. In other words, the site focuses on all a photographer needs to know from the moment you hit the shutter button to producing the final image. Like BagNews, DPS makes it easy to submit articles to the site. If you have any interesting tips and tricks you use in your photography, and want to share them with others, this is where to take them. Another site photographers can find solid tutorials and tips is DIY Photography. On DIYPhotography, you can find out more about Camera Hacks, a variety of photography techniques, tips for a home studio, lighting tips, and more. Reviews on DIY Photography include the latest photography books, photo gear, gadgets and software. “as a place for gear lusting photographers (hence the name), it has quickly evolved into a place of inspiration, education, gear chat and a place for photographers to hang out. Photojojo’s Tumblr blog is a great place to go for inspiration, to find out about quirky and cool photography gadgets, and see the latest deals available in the Photojojo store. In addition to its Tumblr blog, you should also keep an eye on its main content blog where you can find even more inspiration and interesting tutorials on how to get creative with your photo projects and prints — whether its faking depth of field or creating a photo curtain. Photojojo is a site that should be bookmarked on any photographer’s computer. Another great way to keep up with the daily news through the photographer’s lens is on the New York Times blog, Lens. Its daily update of “Pictures of the Day,” includes photos from the top headlines from around the world, and is an extremely important and visceral way to understand the stories you read about in the newspaper or hear about on the news. In addition to the daily updates, Lens also features in-depth photo essays on key issues from all over the world, uncovering stories that aren’t making into the headlines. Are any of these photography websites among your favorites? Are there any sites that you would add to this list? Let us know in the comments. Rubbish. PetaPixel is mostly clickbait to attract people to adverts and other click-bait sites (most of them in very bad taste). Great sites! Surprised Strobist didn't make the list. There's a new one, too, that should start popping up on these lists: http://www.togreview.com - a site devoted to helping photographers research and find the best photo training.